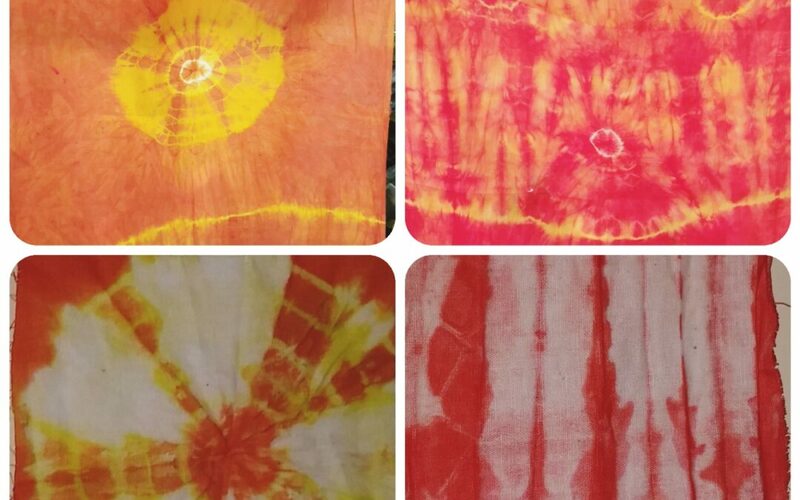 Tie and dye or Bandhani is an ancient traditional textile printing technique in India. As the name implies the fabric is folded and tied in different ways and dyed, so that beautiful designs are formed. Beads, stones are else used to tie which would make beautiful designs. Bright colors are used which gives a very rich look to the fabric. Laharia, buttas, spiral are the most commonly used designs. In this workshop, you will learn different techniques to tie knots in fabric and dye them with vibrant colours. Participants can bring in one stole / scarf / dupatta / white cotton fabric to use the technique. Takeaway – Learn 4 styles on 4 swatches.